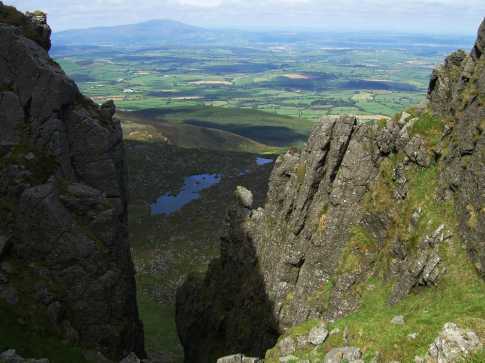 This is the view from the base of the pinnacle down to the lakes. It does not show the top of this rock which is continued up from the right of the photo. This is approximately the vantage point in the Times photo.